Having the most frugal grocery budget in the world isn’t going to help you and if you can’t put together at least a few healthy, tasty, and cheap eats. A curry is a great option for making a large batch of something because not only does it make lots of servings, but you can also make it in the slow cooker. This recipe is simple and lends itself well to personal modification. Dump all of your ingredients into the slow cooker, mix well, and cook on low for 6 hours or high for 3-4 hours. If you like your cauliflower a bit firmer, wait until 2 hours BEFORE you’re ready to serve (45 min to 1 hour if cooking on high), then add the cauliflower to the slow cooker. Personally, I like things mushy in a curry. Serve with steamed rice and cilantro garnish (if desired). Yum! Coconut milk is different from “coconut juice” (which has been popular in Asian communities for ages and now seems to be marketed in an overpriced form to white hipsters). Depending on the size of your slow cooker, you may wish to add a splash of water to make sure things don’t dry out. This looks great! My wife and I often use the slow cooker and she also makes meals in batches so we can have several more meals out of it. We love curry too, so we just may have to try this. That looks so good. My spouse hates curry and I miss it so much! I was hoping to throw something in the crock pot last night and all I could think of was chili (just had meatloaf two days ago) and curry. *sigh* Should have gone for vegetarian stew, oh well. 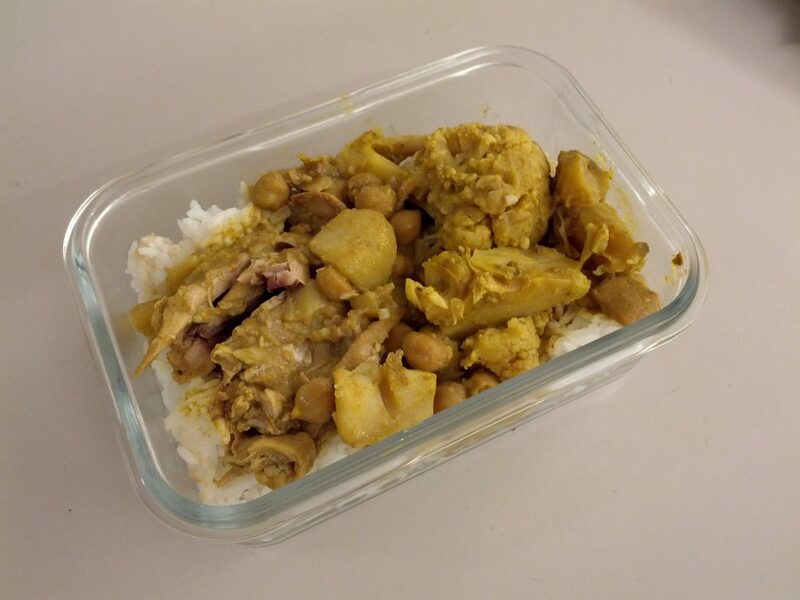 Try using an Asian style curry powder instead of an Indian style curry powder actually. Some people don’t like the stronger smell of Indian curry blend spices. I’d probably use boneless chicken breasts instead as I prefer white meat.yeah, its more expensive, but I’m not going to save money by using an ingredient I don’t like just because its cheaper. But this looks lie a great dish. I can’t wait to try it! For sure. It’s not a terribly expensive recipe as it is so it definitely wouldn’t add to much cost to use white meat. I love slow cooker recipes. Thanks.